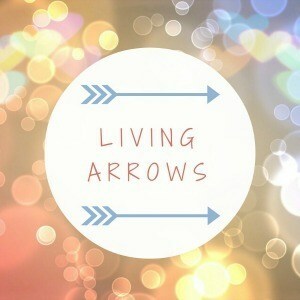 Welcome to week 12 of Living Arrows and today is actually our 7th Wedding Anniversary! 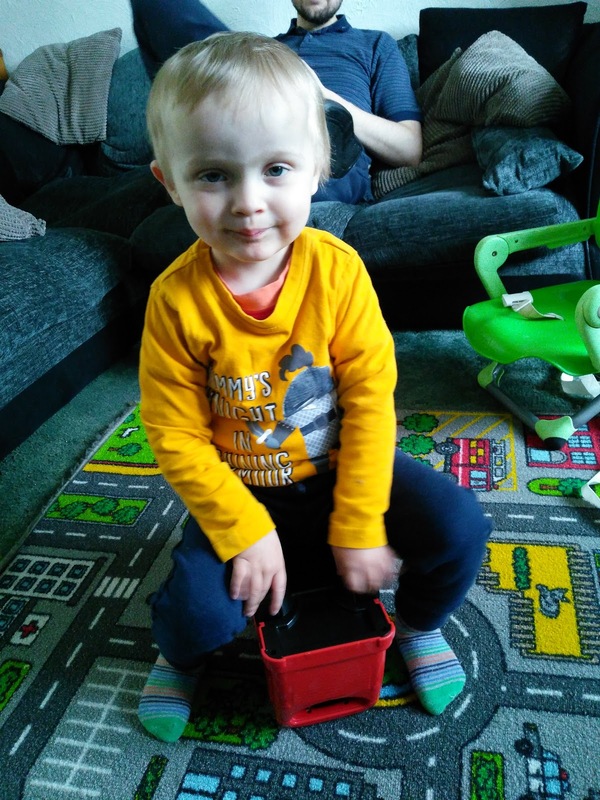 So what have we been up to this last week? 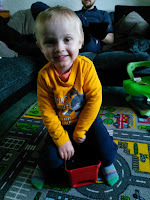 Well James had parents evening, so Mummy picked him up from school on Tuesday night and took him and Freddie home as we didn't need to be back at school for parents evening till 5pm so both boys had their tea before we headed back up to the school. 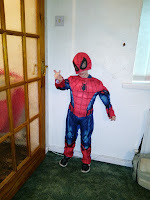 James also had his rearranged World Book Day that got postponed due to Snowmageddon! 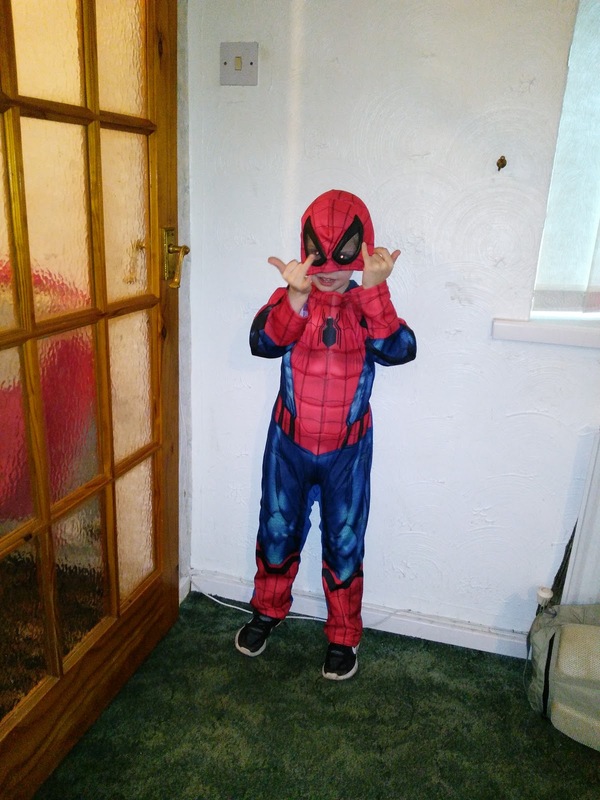 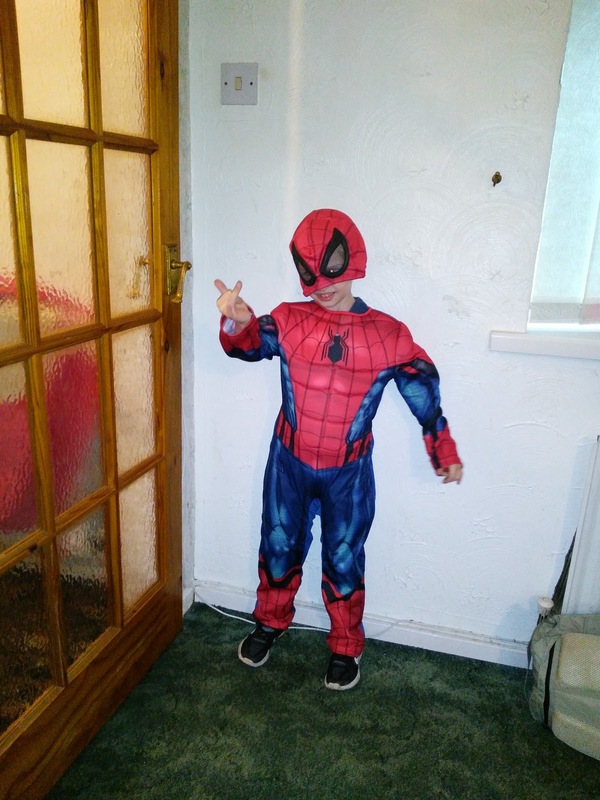 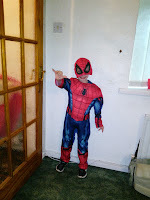 He was really excited to go to school dressed as Spiderman!! 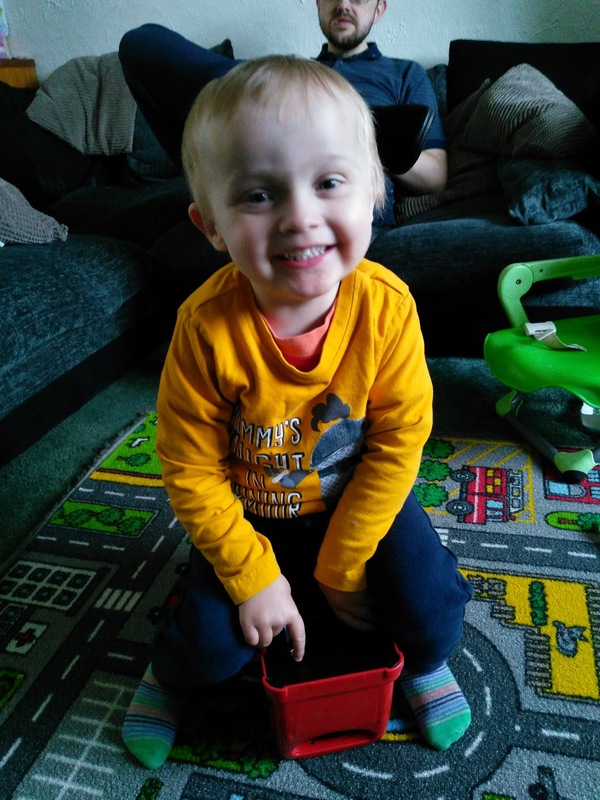 Freddie had his normal two sessions of playgroup which he really enjoyed! 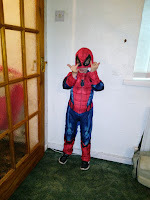 We also had our normal group at sure start. It's hard to believe that Freddie has been going to this group since he was seven weeks old when all he did was lie there and sleep and now he's running around the room like a crazy boy chatting his head off at everyone! 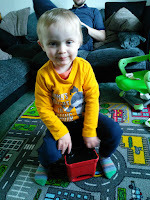 Freddie is still loving James old VTECH bus although he likes to try and ride it around the lounge! He is also such a poser when he sees the camera! 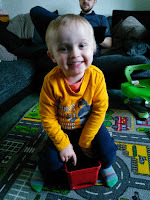 Freddie also ended the week with a doctors appointment to finally get a dietitian referral as we have had concerns for a while that he has issues with dairy product.